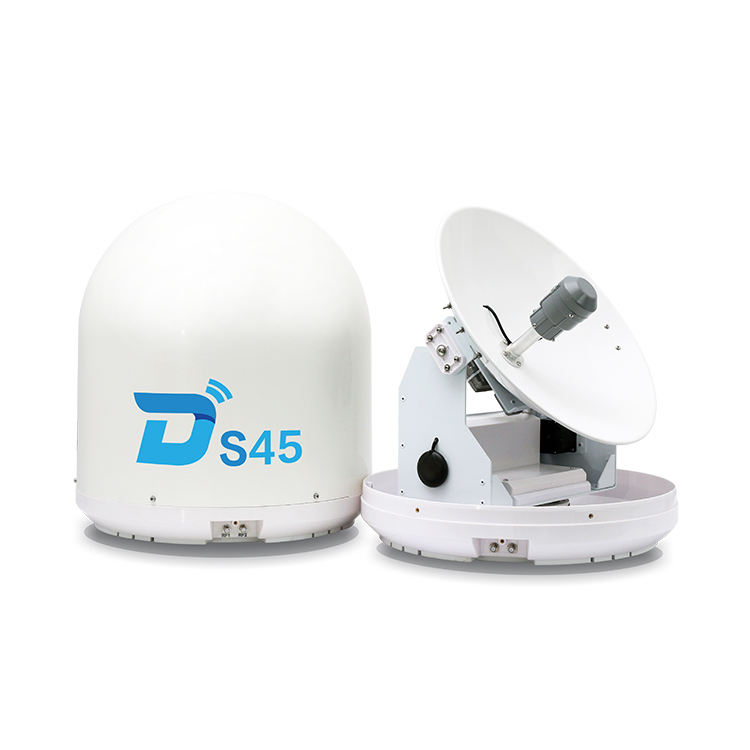 Description Ditel S45 is a marine satellite TV antenna system that has excellent satellite signal receipt capability with a 45cm(17.72”) reflector. With Pre-programmed satellite database, users can select satellite via PC or Phone APP after connected with the USB,Wifi interface design ACU. It is widely used in anywhere in the world as long as the area of Minimum EIRP is over 48dBW. 6.USB,Wifi interface design ACU,users can remote control the antenna on their mobile terminal such PC or Handphone App.